The lats, I know you’ve heard of them whether it be from the lat towers, wide backed bodybuilders, football stars or anyone who needs to be wide. The Latissimus Dorsi aka “lats” are the single headed, outer most muscle of the back right below and behind the armpit. It is responsible for the bulk of the width of the upper back and adduction of the shoulder, shoulder extension, scapula depression and scapular rotation. Lats are important not only for sheer width but also for good back and shoulder strength. To train the lats you should do the following exercises: Deadlift, T-bar row, Bent over row, Chin/Pull ups, Lat pull downs, and pullovers. They play a great part in your pulling force and anything you have to pull downward from overhead. It is also very difficult to train lats without interaction from the biceps brachii and typically include deltoid work as well. The lats have variables form person to person. Lats attach to the vertebra but the amount varies from person to person, some people only have 4 vertebrae with the lats attached to them while others can have as much as 8. Size also obviously varies but maybe more than just thickness. Some fibers in the Latissimus Dorsi are as short as 6 centimeters while others are as lengthy as 10 centimeters and once again it varies from person to person. Some fibers may slip and attach to other muscles such as the triceps brachii, this is especially common is apes. I’m betting there is a procedure involving the lats you didn’t know could save your heart. If your heart isn’t producing enough output and you can’t do a heart transplant then you can have a surgery called cardiomyoplasty. This is a procedure involving the lat muscles being stretched over the heart and being electronically stimulated in sync with the hearts beat, strengthening it. The lats are a very important muscle indeed. Constituting a large part of the back and an even larger proportion of your pulling force it’s quite obvious you’re going to need them for everyday use so get out there and hit those lats! I’ve often wondered about the myths of “protein poisoning”. I’m sure most of you guys have wondered about it too but after some research I have most if not all the answers we have been lusting for. First off, protein poisoning is real. It’s real and it’s potentially fatal in extreme cases. On the other hand the positives are that it is curable and is very easily avoided as well as hard to actually fall victim to. Protein poisoning happens when an individual eats excess amounts of animal proteins but doesn’t eat enough fats or carbs to balance them out. It is often referred to as “Rabbit Starvation” due to the fact of rabbit being so lean to the point you’d definitely get protein poisoning by eating nothing but rabbit. In the medical field it is referred to as proteinosis. When you eat all the animal proteins you can you make your blood turns alkali to a slight extent. Apart from the blood the lack of fats prohibit your liver and kidneys from processing the amino acids (proteins) which can result in excess build up. This build up can cause nausea, diarrhea, heartburn, weakness/fatigue, low blood pressure, and headaches. The -MOST EXTREME- cases can cause tumor growth, organ failure, extreme muscular dystrophy, and death. The odds of getting one of these extreme symptoms are extraordinarily slim to none, unless you are stuck in the magical woods of rabbits and leaves only the thought shouldn’t even cross your mind. As stated it’s very easy to avoid and treat this condition. The extreme ratio of protein to carbs + fats is hard to achieve. You need to eat around 7 times as much protein as carbs and fats combined, like I said…hard. If you do however gets protein poisoning a simple change in diet which adds more fats, carbs, and nutrients will have you back to normal in a few days to a few weeks. Please note protein IS NOT BAD, the bad guy here is the 1 sided diet. Diets are meant to be triangles with fats, carbs, and proteins but when you make it 1 or 2 sides you are asking for trouble. You can eat as much protein as you want as long as you balance it out with proper nutrition. Remember next time you go on that diet for a 6-pac that diets are meant to be triangles. Don’t eliminate fats or carbs; they’re good for you in moderation! Carbohydrates are the main source of energy for all life. No matter if it’s a human consuming over 300 grams of carbs daily or plants making their own carbs from the sunlight carbs are everywhere! The carbs we consume and the carbs plants make are not usually the same carbs however due to the fact of two types of carbs existing. In this article we will explore the differences in complex and simple carbohydrates. First off simple carbs. Simple carbs are quick burning spurts of energy, this is because simple carbs are almost always sugars. This doesn’t mean that simple carbs are bad however. There are two main groups of simple carbs, good sugars and bad sugars. The best kinds of simple carbs are natural and unprocessed such as bananas, apples, pears, grapefruits, etc. Simple carbs are great for you and are often used by people trying to loose weight because they offer a low calorie energy boost. On the flip side bad sugars are fake and added to foods for flavor. Bad sugars include fudge, cake, candy, pop, etc. Bad sugars are usually the last thing you should eat, especially when dieting. Most of your bad sugars are calorie packed and have little to no micronutrient value. Complex carbohydrates are a whole new category. While they are still technically a sugar, they are very different type…starches. Starches are slower digesting and hence slower burning carbs. They provide a continuous energy source over a long run. They won’t have you hyped up and jittery like simple sugars but rather keep you up and at ‘em for possibly hours at a time. We all know pasta has a reputation for being carb packed, and complex carbs are the carb its packed with. Pasta is a very rich source of complex carbs but they may also be found in rice, bread, cereal, and oatmeal. Most of these foods contain a few nutrients, most complex carbs contain more nutrients than any simple carb. Most of your carbs should be complex and considering about 50-60% of your diet should consist of carbs you should have a lot of complex carbs in the diet. Let’s face it, most of us like salt. It’s a necessary mineral to sustain life but when used in excess like today’s world salt can cause major harm to the body. Why do we need it however? What causes it to harm us? Salt in today’s world comes in 3 forms; refined, unrefined, and iodized. All 3 are edible and can be beneficial or dangerous, some are however better than others. Society today uses salt in a variety of manners ranging from paper production to food preservation. Refined salt is the most widely used type and is mostly sodium chloride. It is readily available to us in the form of table salt. When consumed in moderation it acts as an electrolyte. Moderation is about 2.4g( ½ a teaspoon) of sodium which is about 5g(1 teaspoon) of salt a day for the average healthy individual. Salt is important for water retention, retaining PH balance, stimulating glands, and is important for the nerves and muscular contraction. Should you somehow not consume enough sodium deficiency symptoms include decreased blood pressure, weakness, apathy, nausea, and major cramps. On the flip side when you eat too much sodium be prepared for high blood pressure, cardiovascular disease, excess water weight, and reduced taste sensitivity. Another type of salt we get our sodium from is unrefined salt. Unrefined is basically a fancy word for unprocessed, thus unrefined salts are somewhat healthier. Unrefined salts are sea salts and are used for flavoring, bath salts, cosmetics, and smelling salts. Unrefined salts are more bitter than normal salts. The third type of salt is iodized salt. Refined and unrefined salts alone do not have enough iodine to sustain life. Iodized salt is just what the name suggests. Iodine is necessary for proper brain function as iodine deficiency is the number one cause of mental retardation. Be aware however iodized salt loses its iodine over time due to evaporation and oxidation. Salt substitutes are available today in many places. The most popular is potassium chloride. It is similar in taste to table salt without the sodium content. Potassium chloride is not a safe substitute, hyperkalemia may result from excess potassium and those who have kidney or heart problems shouldn’t use salt substitutes at all. Salt is a required nutrient and in some cases a necessary evil. The biggest thing is no matter how you get your salt remember moderation and opt for the iodized salt. It may be only one nutrient but for the same price why not? 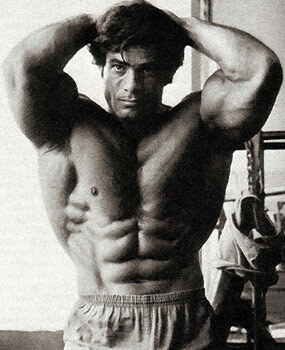 Franco Columbu is one of the most accomplished men of the 20th century. He is a/an avid bodybuilder, great artist, successful actor, licensed chiropractor, expert nutritionist, licensed in sports medicine personnel, a kinesiology agent, and so much more. A lot of his success is owed to his raging work ethic and undoubtable determination. From his fairly humble birth in Ollolia, Italy he grew up and started his athletic career as a boxer in Italy. He soon rose to become the amateur boxing champion of his regional boxing club. He continued to box for a while but soon realized this wasn’t what he wanted. in seventy-seven he competed in the world’s strongest man competition and placed fifth due to him not completing the competition. He tore a muscle in his leg while doing the refrigerator carrying event, otherwise he would’ve no doubt placed first. accompany fat loss with the muscle gain. 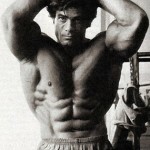 He also garnered as much major success as a bodybuilder as he did with everything else he did earning many awards such as Mr. World, Mr. Universe, Mr. Europe, and Mr. Olympia to name a few. As you can imagine after this massive success people were always wondering how Franco worked out, what his diet was, his personal training preferences and things of those categories. This inspired a series of books Franco would write on training and proper nutrition for mass building over the next several years. 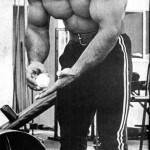 In the early to middle seventies Franco wrote several pamphlets and articles for several gyms, major magazines, and in health clinics. The articles were huge successes especially coming from such an accomplished man. Soon the public craved more and Franco obliged in the form of books. In nineteen seventy-seven Franco wrote his first book entitled “Winning Bodybuilding”, within it he releases secrets to a monster physique which at the time had never before been exposed. The book sold well, men who thought their physique was inadequate bought the book like it was a necessary utility. He continued to write about the topic he knew most about. A year after his first book he released a second book that was relatively similar but focused on the female audience. At this time it still wasn’t widely popular for women to train for strength but Franco aided the wave that would soon come. Franco’s book explained a lot of things females need to know when training such as their hormonal cycles interfering, certain lifts being dangerous for women, their bodily structure and more. Within a decade women were getting stronger and began to bodybuilding. Apart from his female translation of muscle building he also did a teenager version. Franco saw great potential in the nation’s youth and knew that their age group could build swiftly with their enhanced metabolism and energy. 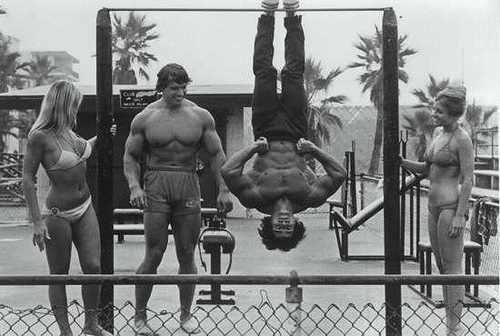 In nineteen seventy-nine “Weight Training and Bodybuilding for Young Athletes” was released to the general public. It sold very well. seventy-six. The most notable films he has played in are probably, “Conan the Barbarian”, “The Running Man”, and “Ancient Warriors”. His newest film released in two thousand ten is “muscle Beach: Then and Now.Franco was also award winning. In two thousand nine he was granted “The Lifetime Achievement Award” by his long friend Arnold Schwarzenegger. Franco has accomplished a lot in his life and his life isn’t over yet. We may get to See another film or book from him in the future. Although his strongman days are over he still works in California as a chiropractor, trainer, and nutritionist. At the ripe old age of 69 he is sill a productive member of society. 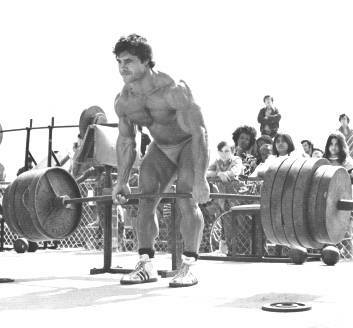 This is why I chose Franco Columbu as my author of choice and why I massively respect this man.